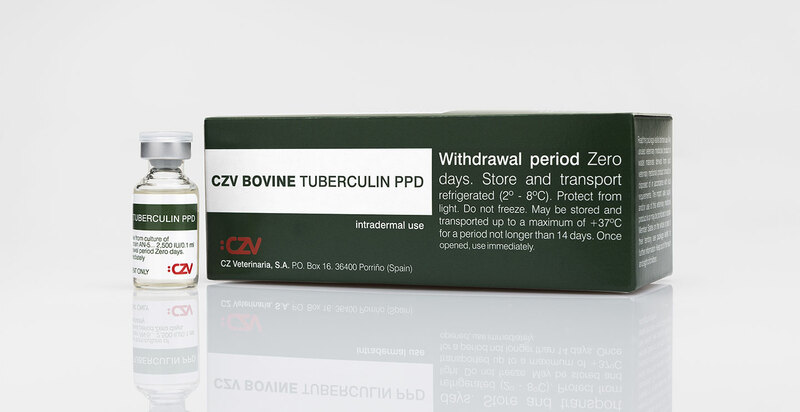 Diagnosis of bovine tuberculosis by means of the singla intradermal test, which implias a single injection of bovine PPD tuberculin, or the comparative test which implies a single injection of Avian PPD Tuberculin and a single injection of Bovine PPD Tuberculin, administered simultaneously. Purified protein derivative of Mycobacterium bovis, strain AN-5 (25.000 IU/ml). Contains phenol. Pack of 10 x 50 doses.